In our June, 2013 trip to Ireland, I was amazed by the plants growing absolutely everywhere. Look below to see what I mean…. 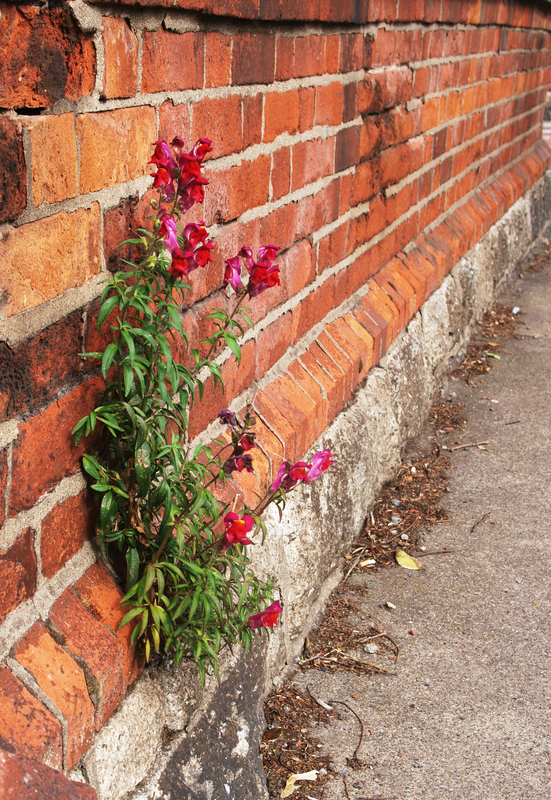 This picture was taken on one of the streets of South Dublin in late June. In Nebraska, this flower would have been baked out of existence by heat and lack of moisture at this time of year. 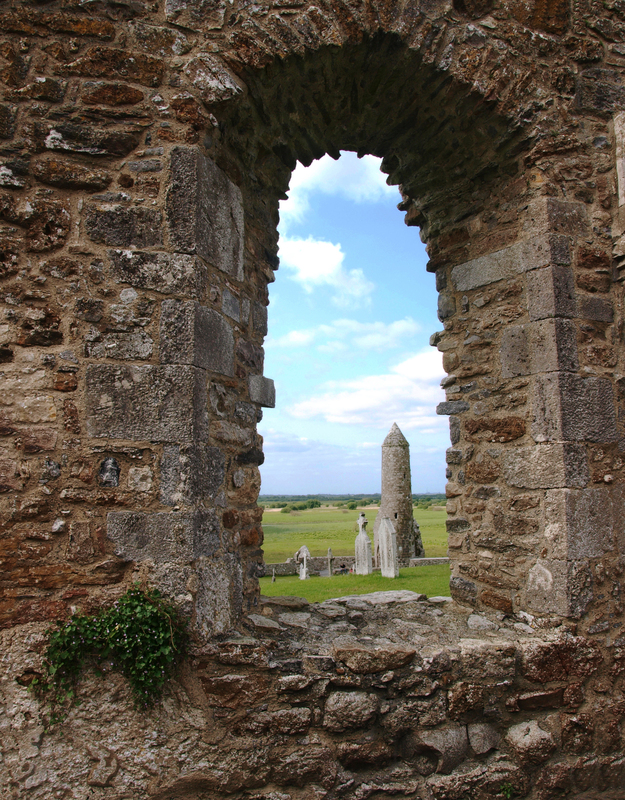 This was taken at Clonmacnoise monastery in central Ireland. The view is of McCarthy’s tower through a window of one of the other ruins. A modest flower hangs off to the side of the window.